Tonight’s Girls Basketball games vs. Hastings is slated to be a charity game to help support our district wide Epic Toy Drive for Helen Devos Children’s Hospital. 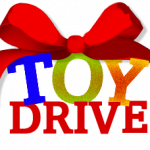 All donations will go towards buying toys for the toy drive. No gate will be taken at the door, only donations! Please come out and support this great cause! 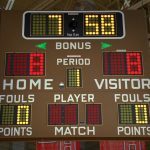 The Wayland Union High School Athletic Office is looking for a few people who would be interested in operating the score board at home basketball games. The district pay is $10 per hour for athletic workers. Please contact Julie Mulder or Justin Wilson for more information. Wednesday, March 2, 2016 5:00 PM Wayland High School AWAY 67 Grand River Preparatory High School HOME 15 Game Recap The Lady Wildcats played against the Lady Titans of Grand River Prep in the Semi Final Round of the Districts. The Wildcats roared out to a 47 – 4 halftime lead and never looked back.